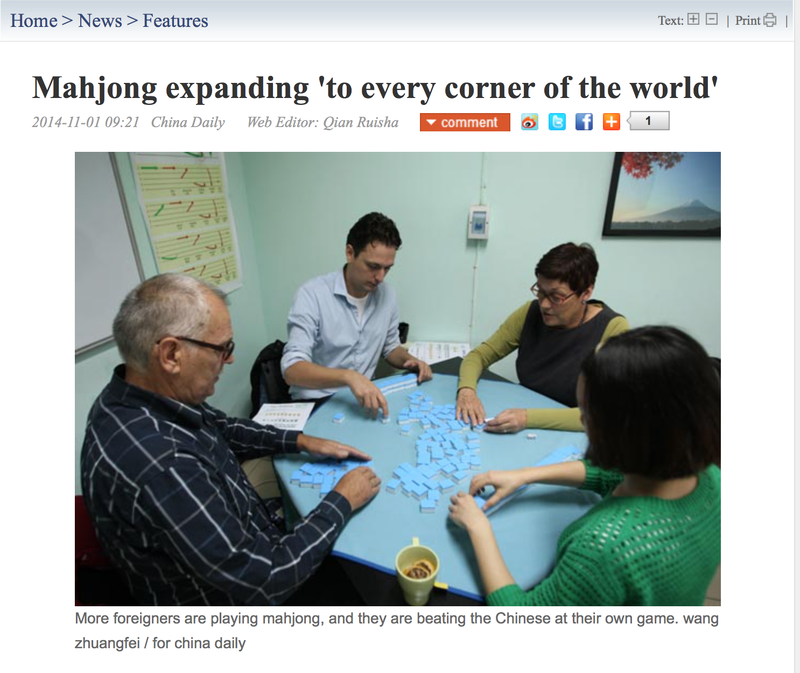 A few days ago I was scrolling around on the Internet and came across this article from 2014 in an online newsletter (ECNS.cn) that was about Mah Jongg “expanding to every corner of the world.” It sounded interesting to me so I started reading and guess what…I am quoted in several places throughout the article…who knew? 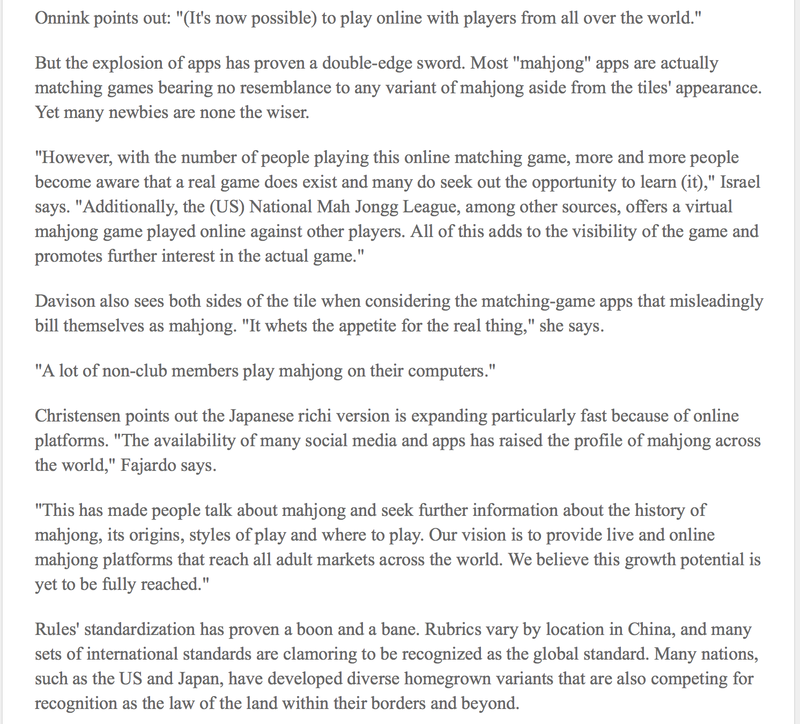 Totally exciting! 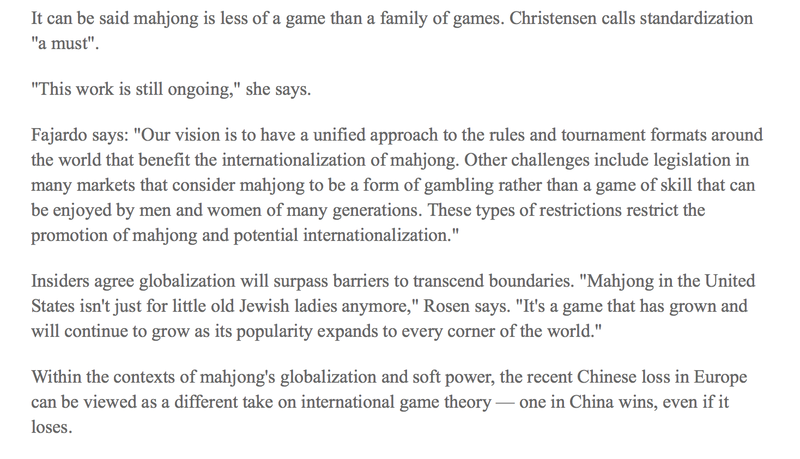 I must say that I got a kick out of the statement that Mah Jongg was invented in China “roughly two millennia ago.” Um…instead, how about that the game was invented in China maybe a little over two hundred years ago!!! 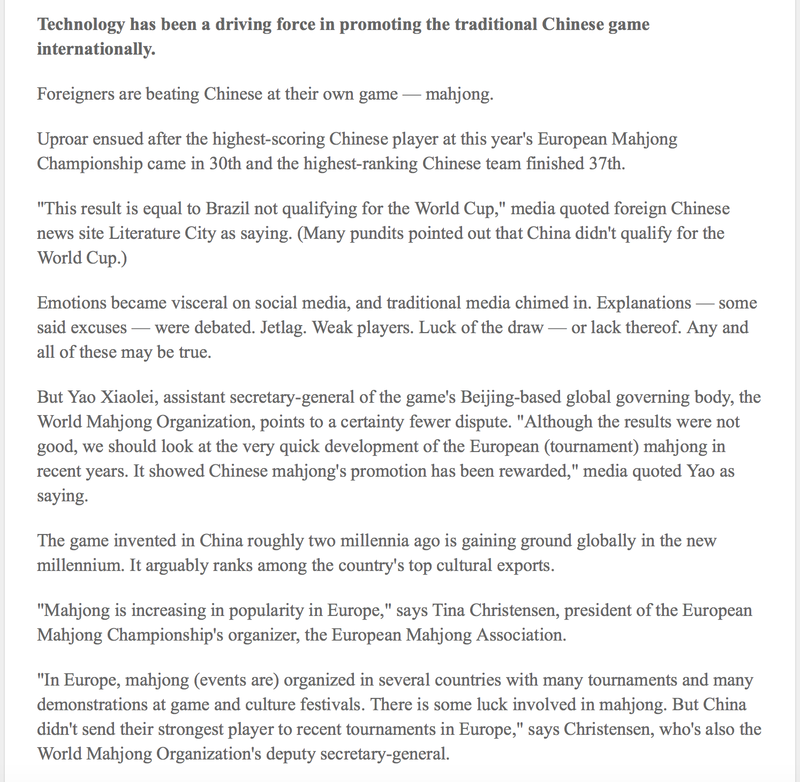 This entry was posted in Mah Jongg and Me and tagged 2014, China, ECNS.cn, Internet, mah jong, mah jongg, mahjong, online newsletter on September 28, 2015 by Mah Jongg and Me. 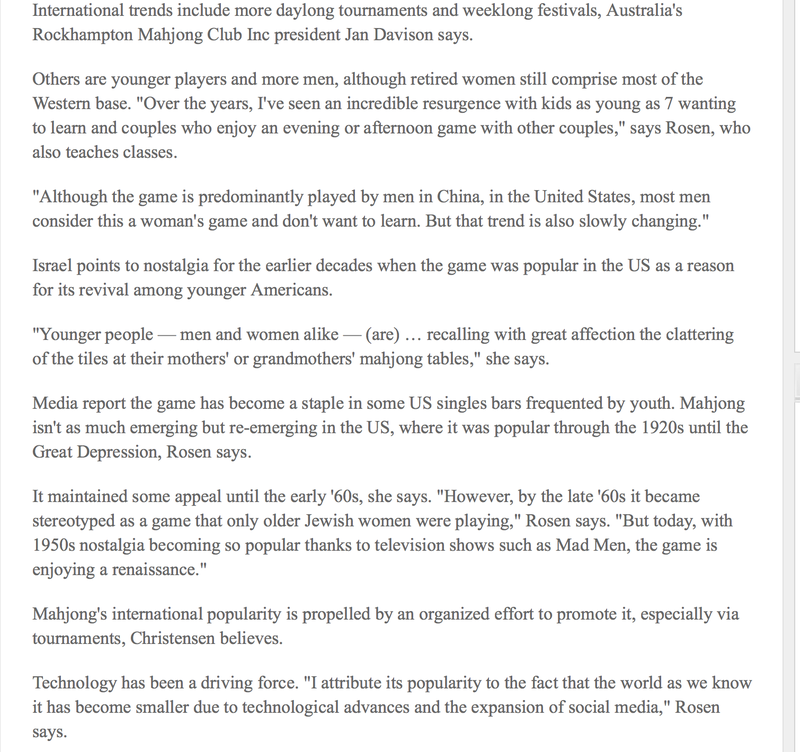 Love this email and will forward to so many!!! Phyllis C.